EX Air Dragon Kick now hits 3 times like its ground version and does 154 damage. Producer Yamamoto says: Hwa has a lot of changes, like for example, his Weak Backbreaker is a 1F hit now. The recovery on his drink is different so it might be usable in a combo. Hwa Jai is an extremely offensively oriented character. If played properly he should cause opponents to be constantly alert and afraid, since he has a tool to punish every single option in the game. Essentially Hwa is one of the scariest characters in the game when it comes to cracking defenses and landing hits against turtles, if not the single scariest. He is also one of the harder characters to use well, but the rewards are very obvious to those willing to practice with him for a long time. Unfortunately, he has to power up several times per round. His true strength lies in his Drink Pink state, which gives him several new tools as well as forcing the enemy to be extremely cautious, as basically any hit that Hwa lands can be turned into an extremely powerful combo. You will want to make a mental note while time is temporarily stopped when Hwa uses his drink DM of how many seconds are left on the round timer. Just remember that in 15 seconds, whatever combo you may be doing will have to be cut short. For example, if the there are 60 seconds left on the clock when you use Hwa's drink DM, then you should be ready to lose your powerup when there are only 45 seconds left in the round. Luckily Hwa can stop his combos at any point and do a DM finisher. Take a quick look at the timer when your combo is starting and just make sure that you have at least 3 or 4 seconds left before the drink wears off, or else cut your combo short and do qcfx2+B/D if you can afford the meter. Very high cost-effectiveness with single drive combos that deal nearly full-life damage. Highest damage non-HD combos in the entire game. Likely the single highest abare (ability to combo after a random hit or trade) in the game. Can kill with just a 2 meter HD combo. Incredible offensive rush down game. Very strong poke game both ground-based and air-to-air. Invulnerable 3/4 screen clearing shoryu which can lead to over 800 damage from anywhere at the cost of only 1 drive. Has an extremely high damage 2 frame grab DM. Cannot be zoned when drunk or has 1 meter. Every combo can easily carry the opponent all the way to the corner from anywhere, even the opposite corner. Very strong anywhere in the stage, but even stronger in the corner. Can start extremely high damage combos from jump-ins, lows, frametraps, crossups, mid-range pokes and even trades. Needs to drink every 15 seconds, often two or more times per round. Can be zoned effectively when he has 0 meter and is not drunk. Jump-in normals have extremely low hitstun, meaning that they have to be done very late to combo after them, meaning Hwa is very susceptible to anti-air normals. Without at least 1 Drive Cancel his damage becomes merely average. Requires meter to power up with Drink Pink. st. A: 25 damage, cancel-able/chain-able, hits mid. A swift, short jab that releases at shoulder height. Good for stopping incoming hops, applying pressure and for hit confirming into combos. One of the shining features his jab has is that it hits crouching opponents. +2 frames on block. st. B: 30 damage, cancel-able, hits mid. A quick, stationary front kick aimed at the midsection. This kick comes out fast, has a fair amount of length, and is safe on block to. Use it to poke your opponents until your score a hit confirm then cancel it into his df+B slide. +1 frame on block. st. C: 80 damage, cancel-able, hits mid. This fierce punch can be used to stop incoming hops and since its cancellable on hit, can be used as a mid-range poke into a hit confirm. It can be avoided by some characters crouching B's though. +1 frame on block. st. D: 80 damage, cannot be canceled, hits mid. A very fast roundhouse kick aimed at the head. This has to be one of the most safest standing heavy kicks in the game. The start-up is fast, the whiff recovery is low, and it's almost neutral on block. Hwa Jai even gets pushed back on block too, at a good distance. At mid range you can use this stop hops and at close range it even it's on crouching opponents. It's not cancel-able on block, but that doesn't really matter. Use and abuse this. +1 frame on block. cl. C: 70 damage, cancel-able, hits mid. A fast elbow hook aimed at the face. Safe on block and cancel-able. Nice pushback on block. Hits crouching opponents too. +1 frame on block. cl. D: 70 damage, cancellable, hits mid. A sharp knee to the midsection. Similar statistics to his close C, but pushes back much farther on block. 0 frame on block. cr. A: 25 damage, cancellable/chain-able, hits mid. An elbow aimed at the upper legs. Same reach as his standing A and can be used for the same purposes as well. It has an extra frame of advantage on block than his stand A and is slightly faster too. Good for pressure and for scoring a hit-confirm to cancel out of from. cr. B: 30 damage, chain-able, hits low. A crouching light kick aimed at the toes. You will be using this a lot offensively and defensively as well against poorly placed jump normals. A very solid poke that can be chained into his other normals. +3 frames on block. cr. C: 70 damage, cancellable, hits mid. The reach is slightly less than his standing C, but it can be used to poke around with nonetheless. It is also whiff cancel-able as well. 0 frames on block. cr. D: 80 damage, cancellable, hits low. A very quick sweep. It as a decent reach, and it is also cancel-able on block, hit and while its whiffed. You can use its whiff cancel ability to add some range to his special moves. 0 frames on block. j. A: 45 (40) damage, cancellable, hits overhead. A very short ranged elbow poke. You can cancel this into any of his air specials, but be careful; it can miss on crouching opponents. It can be used as a good air to air attack because of its quick start-up, but just stay aware of its short reach. j. B: 45 (40) damage, hits overhead. A short ranged jumping knee that hits in-front of Hwa Jai. It can also cross-up fairly well too. Try not to use this kick too early as an air-to-air because of its range. j. C: 72 (70) damage, cancellable, hits overhead. A very deep punch pointed at 50 degree and is cancel-able upon contact. Good for jump-ins, and jumping out of harms way. It might lose to quicker and more horizontally long jump normals if used air to air. j. D: 70 (68) damage, cancellable, hits overhead. This jumping round kick is aimed a bit deeper than his j.C, and can be canceled on hit too. This kick can also crossup extremely well too. CD: 75 damage, lower-body invulnerable, cancellable, hits mid. One of the safest and most useful stand CD's in the game next to Leona's. Firstly, he moves forward during his start, which gives the kick a great amount of reach. On block he's safe because he gets pushed back a good distance both mid-screen and in the corner. You can also cancel the kick if you whiff it, giving whatever special move added reach. Also, a small section of his lower body is invincible which can help against projectiles that skim across the ground and Dou Lon's f+B. 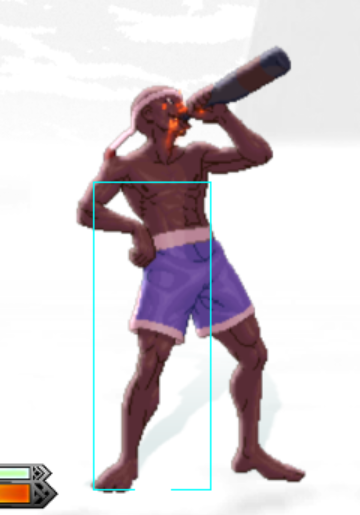 One disadvantages is that his hit box isnt too tall to anti-air superjumping opponents, but it can tag some incoming hops as well. A extremely good stand CD which has numerous advantages. j. CD: 90 (80) damage, cancellable, hits mid. This jump CD has a very horizontal hitbox which is good for air-to-air situations, and for hop pressure because of its reach. It can be anti-aired and avoided with a crouch B, so be careful when and where you release this attack. Use it next to his j.D if you feel the opponent likes to attempt to anti-air the jump CD. GCCD: 10 damage, cannot be canceled, hits mid. The animation is similar to his standing D (heavy kick). An opponent can safe jump this GCCD if their jump attack is deep enough. Sliding = (df+B) - Unsafe if done too close to the enemy, safe or even gives advantage on block if spaced far enough. If you do, point blank, d.B, d.A, [Link] d.C and delay df+B, you can link a s.C or s.D after the slide and start your HD activation from there. Or, if linking s.C you can just go into a DM. If don't want to link and you missed your cancel-able window of the df.B, you can still do EX DM as a link and it will hit. This links are a bit more difficult in the corner do to the pushback. TNT Punch = (qcf+P) without followup, this has a limited juggle state which can be followed up with qcfx2+B/D or dp+B. (EX) = qcf+AC launches opponents and moves forward quickly, allowing for easy followups. ∟Finish (qcf+P) knocks down opponents, can be combod after in the corner, works very well when cancelled into Drink Pink (recovery is shorter, can still be combod after). Dragon Tail = (qcb+K) ground/air. Drink Pink state adds 1 hit to aerial opponents, allowing it to be looped 3 or 4 times anywhere. (EX) = qcb+BD ground/air. Ground version invulnerable to projectiles and gives hard knockdown. Dragon Kick = (dp+K) - B goes up, D goes straight. B version has invulnerability during startup always. D version has invulnerability during startup during Drink Pink state. (EX) = dp+BD - Can be cancelled into itself 2 extra times at no additional cost by pressing any direction with B or D. Has ultimate juggle. Has no invulnerability, even during Drink Pink state. Air Dragon Kick = (dp+K) in air - B goes down, D goes straight. Never has any invulnerability. This gives Hwa a sort of Vortex ability, with meter only. When you do a Dragon back breaker, preferably, hyper jump and when directly on top of them do a reverse dp+B and it will do it backwards, but, it will hit in front, that is, he will have to block as if he were hit from the front and not the back, so, if you jump from left to right and do a dp once you are on the right side of the screen, the opponent will need to hold his stick RIGHT in order to block it, if you do it late, it will hit him from behind and he would have to block to the LEFT. So after this starts the Vortex, as soon as you land, or just before, do a EX dragon kick. This will smash the opponent to the ground and give you the same position as before. Alternate between, crossup and fake crossup. Some characters, like Chin and duck under it if you fake cross up. And remember to bait out reversals by doing a late jump and early dp+B so you end up in front of the opponent and avoid getting hit. Drink Pink = (qcbx2+P) - 15% Damage increase but opponents do 10% more damage on him. There is an extra hit during Dragon Backbreaker DM. Adds an extra hit to both B and D Dragon Tail against aerial opponents. 15 second duration. Invulnerability at startup of drink animation. (EX) = qcfx2+BD - Aerial ranbu (ryubu), Ex version has startup invincibility. Final hit is for the DM version is 40 and Ex version is 90 unscaled guaranteed damage (in bold). Dragon Backbreaker = (qcf hcb+P) - A version is 2 frame, C version is slower but invulnerable and travels halfscreen. Final Dragon Kick = (qcf hcb+BD) Can be combod after if not a clean hit using qcfx2+BD. 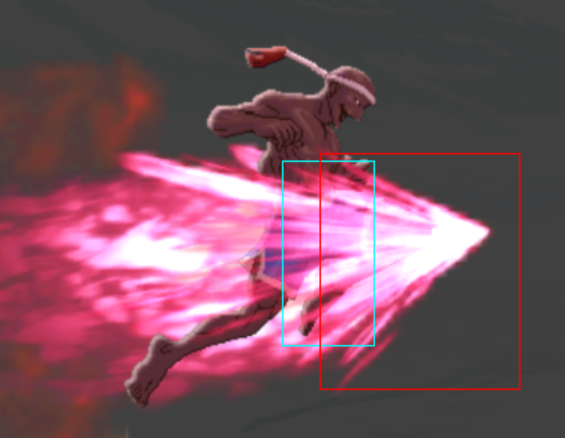 Clean hits occur when the enemy is close to the ground, when the first hit of this move connects. A clean hit results in a ton more damage and a scene of Hwa standing over his opponent's body, laughing. works near the corner, starts from invulnerable shoryu, builds 2.2 meter during combo. works anywhere, starts from invulnerable shoryu. The above combo can be started and activated from Hyper Drive Activation by using st.A, df+B, or st.B, df+B but the damage output will be lowered. 1.) st. A > far C - 4 frame gap between st. A and far C. 2.) st. A > cl. C - 3 frame gap between st. A and cl. C. 3.) st. A > cr. C - 3 frame gap between st. A and cr. C. 4.) st. A > cl. D - 4 frame gap between st. A and cl. D. 5.) cr. A > far C - 3 frame gap between cr. A and far C. 6.) cr. A > cl. C (L) - 2 frame gap between cr. A and cl. C. 7.) cr. A > cr. C (L) - 2 frame gap between cr. A and cr. C. 8.) cr. A > far D - 4 frame gap between cr. A and far D. 9.) cr. A > cl. D - 3 frame gap between cr. A and cl. D. 10.) cr. A > cr. D - 4 frame gap between cr. A and cr. D. 11.) st. B > st. A - 4 frame gap between st. B and st. A. 12.) st. B > cr. A - 3 frame gap between st. B and cr. A. 13.) st. B > cl. C - 4 frame gap between st. B and cl. C. 14.) st. B > cr. C - 4 frame gap between st. B and cr. C. 15.) cr. B > far C - 3 frame gap between cr. B and far C. 16.) cr. B > cl. C (L) - 2 frame gap between cr. B and cl. C. 17.) cr. B > cr. C (L) - 2 frame gap between cr. B and cr. C. 18.) cr. B > cl. D - 3 frame gap between cr. B and cl. D. 19.) Low air dp+B (+3 on block) > st. A - 2 frame gap between low air dp+B and st. A. 20.) Low air dp+B (+3 on block) > cr. A - 1 frame gap between low air dp+B and cr. A. 21.) Low air dp+B (+3 on block) > st. B. - 2 frame gap between low air dp+B and st. B. 22.) Low air dp+B (+3 on block) > cr. B. 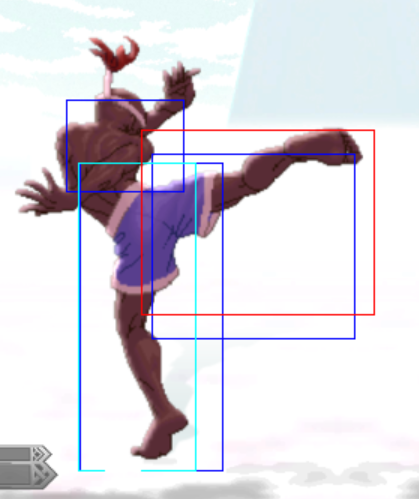 - 1 frame gap between low air dp+B and cr. B. 23.) Low air dp+B (+3 on block) > far C. - 2 frame gap between low air dp+B and far C. 24.) Low air dp+B (+3 on block) > cl. C. - 2 frame gap between low air dp+B and cl. C. 25.) Low air dp+B (+3 on block) > cr. C. - 2 frame gap between low air dp+B and cr. C. 26.) Low air dp+B (+3 on block) > far D. - 4 frame gap between low air dp+B and far D. 27.) Low air dp+B (+3 on block) > cl. D. - 3 frame gap between low air dp+B and cl. D. 28.) Low air dp+B (+3 on block) > cr. D. - 4 frame gap between low air dp+B and cr. D. 29.) Lowest air dp+B (+4 on block) > far C. A - 1 frame gap between lowest air dp+B and far C. 30.) Lowest air dp+B (+4 on block) > far D. A - 3 frame gap between lowest air dp+B and far D. 31.) Lowest air dp+B (+4 on block) > cr. D. A - 3 frame gap between lowest air dp+B and cr. D.
There is a visual difference between low air dp+B (+3 on block) and lowest air dp+B (+4 on block). Lowest air dp+B (+4 on block) creates more push back between Hwa Jai and his opponent. It can be a bit difficult to tell the amount of push back is created by low/lowest air dps at mid-screen, but it is easier to tell the difference at the corner. If drunk, then dp+D beats basically everything and gives you a very scary combo with just 1 drive. Far D is an extremely fast, good range poke which deals good damage and has great blockstun. Abuse it. Standing B has great reach and can be cancelled into d/f+B for a combo or for pressure. It's very safe and abusable. d/f+B covers great distance and can go under some pokes, as well as being safe on block and cancellable even if it was not cancelled into. cr.D hits very far, comes out very quickly, is completely safe and best of all puts Hwa very close to the ground. This means that many pokes will go straight over him while he's attacking! qcf,hcb+C has full invulnerability and deals tons of damage. It can be used to beat anything that telegraphs too much, such as a fireball. qcb+BD is invulnerable to fireballs and grants a hard knockdown+crossup, as well as being completely safe on block. st.A and st.B hit crouching opponents and cause low hitstun while remaining safe. These can be used for pressure or to mix up into a throw with qcf,hcb+A. qcf,hcb+A is 1 frame, so if anyone is ever too close... feel free to grab them and then cross them up with forward jumping j.D immediately after. cr.B, cr.B, st.B can lead to some serious damage and allows for very easy confirmation. qcb+D gives advantage on block, but can be interrupted in the startup if predicted. It can be combod after with either qcf,hcb+A instantly or a tight link with close C.
j.C/D, j.qcb+B, is far easier to connect reliably in the corner than midscreen, making Hwa's hyperhop pressure much stronger when the opponent is cornered. get ready to deal absurd damage if you connect anything at all! if you're sober, you have grab DM to get you out of most situations. Use C version to beat projectiles, if the enemy gets too close use A version. if you're sober and have 0 meter, you can still get out of hyperhop pressure with dp+B which has some very minor invulnerability. C+D guard cancel gives you plenty of time to drink if you have meter to spare and really need to have your invulnerable D shoryu available to you. Turn the fight to your favor at the cost of 2 meter! if you're drunk, then D shoryu is absolutely your best tool for getting yourself out of the corner. Just wait for something telegraphed (most safe specials have some startup time) and then dp+D and drive cancel to a j.qcb+B, and then qcb+Bx3 into qcfx2+B/D if you have the drive for it. The meter will build itself from the combo! Standing and crouching B and D are all extremely long range pokes with great advantage on block (particularly stand D). Use these pokes to gain meter and pressure the opponent. 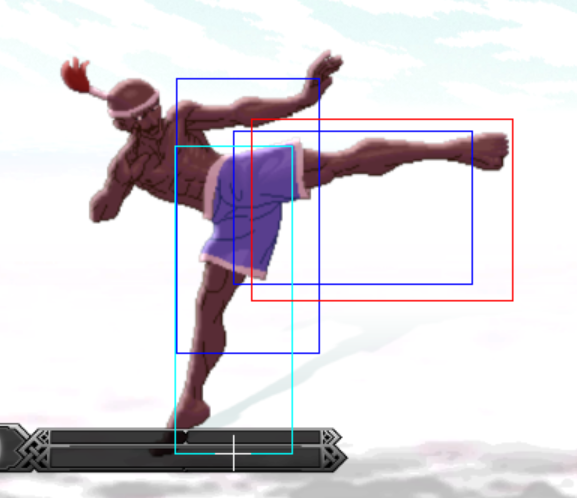 These kicks are all cancellable except for standing D.
Down/forward+B is completely safe at nearly maximum range, and even gives Hwa advantage on block at the maximum range. A great mid-range poke, as it's cancellable even outside of combos. Standing A hits crouchers and recovers extremely quickly. It can also be used to set up frametraps by delaying slightly between multiple standing As. Jumping CD is extremely strong air-to-air (one of the best air-to-air normals in the game, easily), and it can also cause massive blockstun or even cross up. Abuse it. Qcb+B is actually unsafe on block against certain characters. It gives Hwa a -1 frame disadvantage, meaning that characters with instant command grabs can punish it every time. Be aware of which characters can and cannot grab you after qcb+B. Against characters with instant grabs, d/f+B should be your blockstring ender in most cases. Grappler mode! Don't forget that you have an extremely high damage grab DM. You can still be a frightening opponent without being drunk, and with 0 drive. Try to stay close enough to grab. It is not recommended that you drink if you have no drive. Hwa is truly at his strongest when he has at least 1 drive and he's drunk. Save the meter. You still cannot be zoned with 1 meter. qcb+BD is invulnerable to projectiles and completely safe on block. It's an extremely low-risk, high-reward move against zoners. You can still combo after j.CD or st.CD non-counterhit with dp+BD for a healthy amount of damage. If you're drunk and you have no meter, but 50%-100% drive, then you're perfectly fine. Feel free to start a combo with 0 meter as drunk Hwa, you'll have 1 or 2 meter by the end of it for the combo ender. If you're sober, try to poke and pressure your opponent to the corner, as Hwa can still achieve over 450 damage with 0 meter and 1 drive in the corner without being drunk. Make some space and take a drink. Now you're ready to start dealing damage. Any jump-in combo should be ending in over 700 damage from anywhere if you land the hit, so long as you have the 4-6 seconds required left in your drink state. While drunk, dp+D has extended reach and full invulnerability, and can be an extremely strong combo starter. If your opponent tries to do anything telegraphed (fireball, slow attack, etc) then give them the dp+D and turn it into a full combo. Usually your combos should end in qcfx2+B/D, and not the EXDM. The damage increase with the EXDM over the standard DM is not particularly high (do it if it'll give you the kill with its 100 extra damage), but if you end your combos in qcfx2+B/D instead of qcfx2+BD you'll almost always have enough meter to drink after your qcfx2+B/D combo ender and then still go for a meaty attack (recovery is indeed that quick). (drunk) anything into d/f+B (from close range), qcb+D will cross up crouching opponents and allows for you to link qcf,hcb+A very easily afterward, or close C sometimes. This is debatable, but with the high damage that Hwa can put out with nothing but 1 drive and 0 meter while drunk, having 1 meter and 1 drive puts Hwa at nearly his maximum potential. This makes him ideal for the middle spot, though he's quite acceptable as a battery or anchor. Hwa can build meter very quickly as a battery, but being able to drink at the very start of the round puts you in a favorable position right off the bat. With 1 meter at his disposal, Hwa gains an extremely strong grab option. As a battery he lacks this option for the first portion of the round. As an anchor he will almost always end the match with meter and drive to spare since he builds so much during his actual combos. This means that if he had another character still behind him (if he were on 2nd instead of 3rd), the character following Hwa will almost always have some meter and drive to work with. stay in close range as much as possible while Hwa is sober, since it's risky for Hwa to drink with an opponent in range to punish. stay as far away as possible while Hwa is drunk, since any random hit can be turned into an absurdly high damage combo, but Hwa is on a timer. be aware that Hwa's drink DM has invulnerability until Hwa throws his bottle away, at which point he can be punished briefly. DO NOT FORGET that Hwa has an extremely high damage instant grab DM which gives him a mixup afterwards. Try not to get too close. DO NOT FORGET that Hwa can grab you from halfscreen for over 300 damage at the cost of just 1 meter. Don't do anything terribly slow, or you're inviting a huge punish. Hwa's D shoryu gives him massive damage, but it's also completely punishable. Try to bait it out with quick attacks, since it has a slight startup time on it. This page was last edited on 8 December 2015, at 03:47.